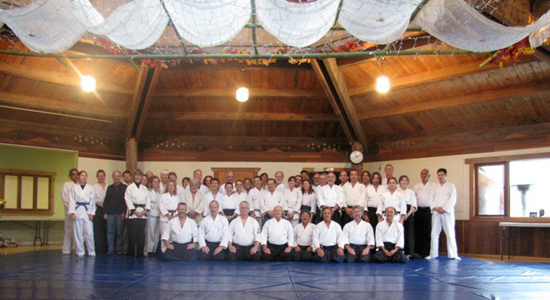 Mateel Aikido celebrated 25 years of training on November 20-21, with Frank Doran Shihan. Black belts arrived from as far away as Alaksa, Oregon, and all over California. There were 49 people on the mat training at the Beginning’s Octagon in Briceland! 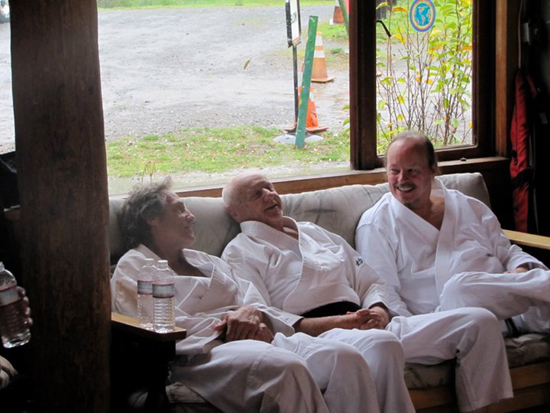 Some of the Sensei’s relaxing a bit! The potluck was fabulous, and also a birthday party for Frank Doran. What a great bunch of people and what an honor to Russel and Forrest Kan and the rest of the Mateel Aikido dojo to be honored with such a full house. A great weekend! More photos online at Mateel Aikido’s Facebook page.